The Rat City All Stars consist of the league’s top skaters who compete in WFTDA-sanctioned interleague bouts against teams from leagues across the USA and the world. 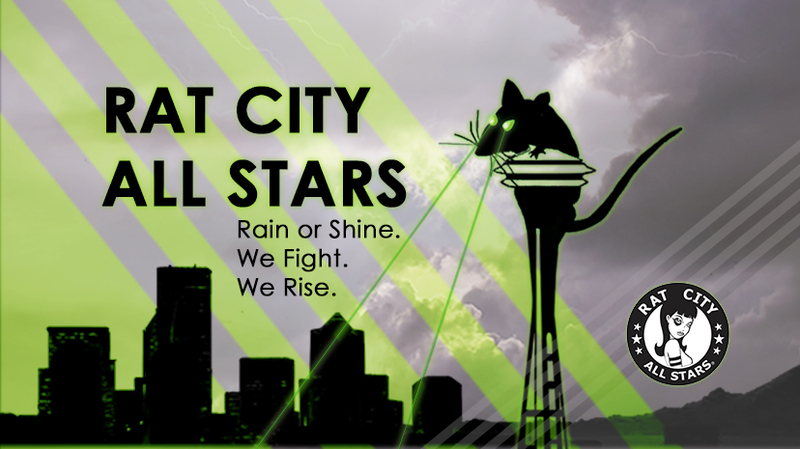 Seattle’s Rat City has two All Star Teams: the All Stars (A-Team), who compete against the highest ranked All Star Teams from leagues around the world, and the Rain of Terror (B-Team). The All Stars are currently one of the top 20 teams in the world! See team stats at Flat Track Stats for the All-Stars and Rain of Terror.